DENVER — First Stone Development, LLC a distinguished real estate development company, is thrilled to announce that their premier development, Saola Townhomes at Sloan’s Lake, is now on the market. In addition, First Stone Development is slated to break ground on two other townhome projects later this year: Vaquita Townhomes in the Highlands, and Condor Townhomes on Tennyson. All three townhome developments are uniquely named after endangered species. First Stone Development, LLC is honored and proud to be premier partners of Denver Zoo. Their vision, as developers, is to build superior real estate ventures that physically enhance neighborhoods, while creating community awareness and support for endangered species— each development is named after an endangered species. The animal’s habitat will be incorporated in original architectural and landscaping designs, and a monument depicting the endangered animal’s image and history will be prominently displayed on the site. In addition, First Stone Development will donate a portion of sales or revenue to help support Denver Zoo’s innovative commitment to conservation. 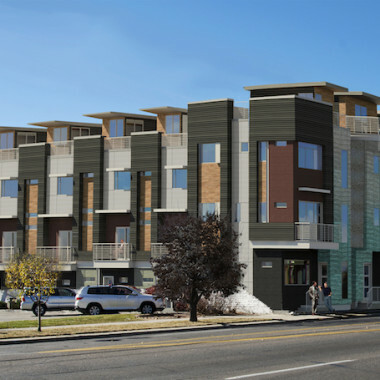 Named after the critically endangered species Saola and marking First Stone’s premier venture in Denver’s real estate market, the 17-unit Saola Townhomes in Sloan’s Lake were designed by Hive Architects, to optimize both mountain and city views in one of Denver’s most desirable neighborhoods. Homes vary in size from 1212 to 175-square-feet with well-appointed finishes within walking distance of beautiful Sloan’s Lake. First Stone Development will also break ground on Vaquita Townhomes in the Highlands in late July, 2017. Named after the critically endangered animal Vaquita; a rare species of porpoise, Vaquita means “little cow.” First Stone Development’s priority is to build a high-quality project that will enhance the existing architecturally diverse neighborhood of the Highlands. 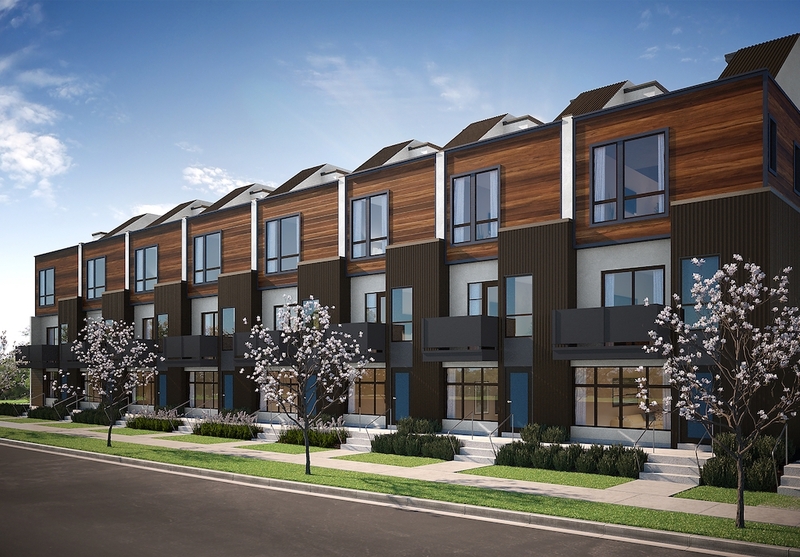 Designed by Hangar 41, the townhomes will feature 17 homes ranging from 1320 to 1850-square-feet. The eclectic Highlands community is comprised of young singles, urban professionals, empty nesters and growing families. The Highlands neighborhood is trendy yet charming with easy access to downtown Denver. This charming neighborhood is known for its proximity to numerous art galleries, coffee shops and some of Denver’s best restaurants. In the third quarter of 2017, First Stone will be announcing more information on their exciting development project Condor Townhomes on Tennyson. Tennyson Street in the Berkeley neighborhood of Denver is fast becoming one of Denver’s most vibrant communities. 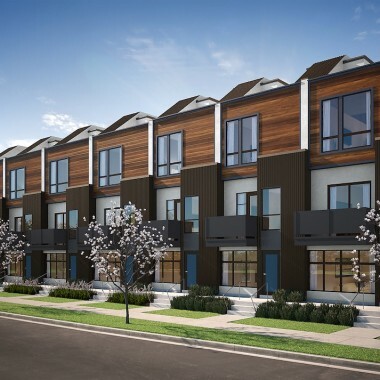 Named after the endangered California Condor, one of the largest and rarest birds in North America, the townhomes will feature 28 homes in the heart of eclectic Tennyson Street. First Stone Development once again retained the award-winning services of Hive Architects to design the twenty-six state-of-the-art townhomes. In keeping with the trendy atmosphere of Tennyson Street, the exterior of Condor Townhomes will integrate brick, wood and metal, creating a dynamic textural design. The townhomes will range in size from 1,100 to 1,800-square-feet, with a total buildable of 32,150- square-feet and will feature three levels with an attached single-car garage and rooftop space, to take in all the breathtaking views that Denver has to offer.